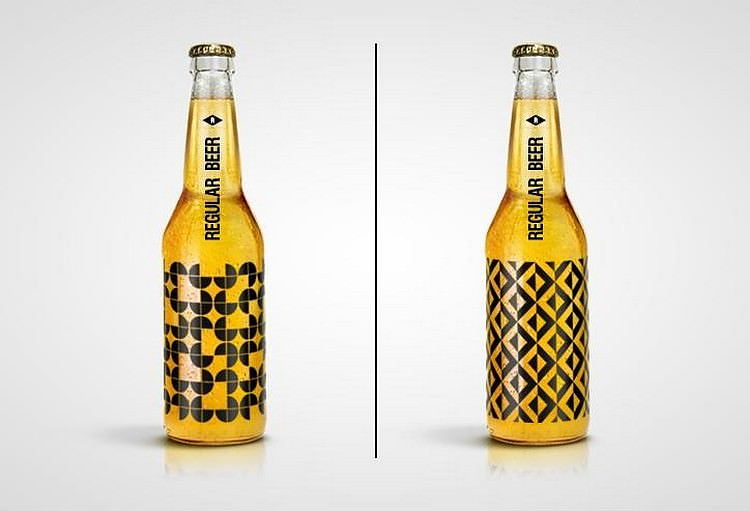 HomeBlogVariousRegular Beer by Kamil Piatkowski. 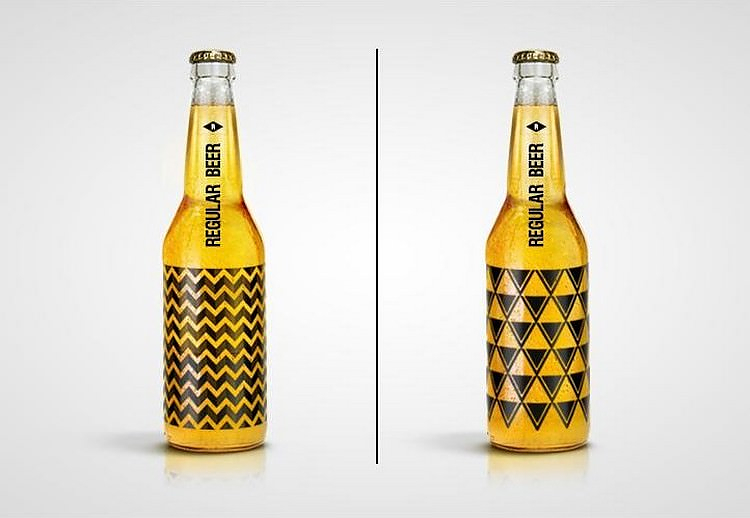 Polish packaging designer Kamil Piatkowski presents Regular Beer, a conceptual bottle design decorated with elegant geometrical patterns. One of the highlights of the design is that “the combination of geometric elements allows you to create infinite variations of the design,” says Piatkowski. As craft beers get more upscale, they tend to move away from the repetitive and iconic branding of basic canned brands and instead emphasize the individuality of the drinker and the experience. 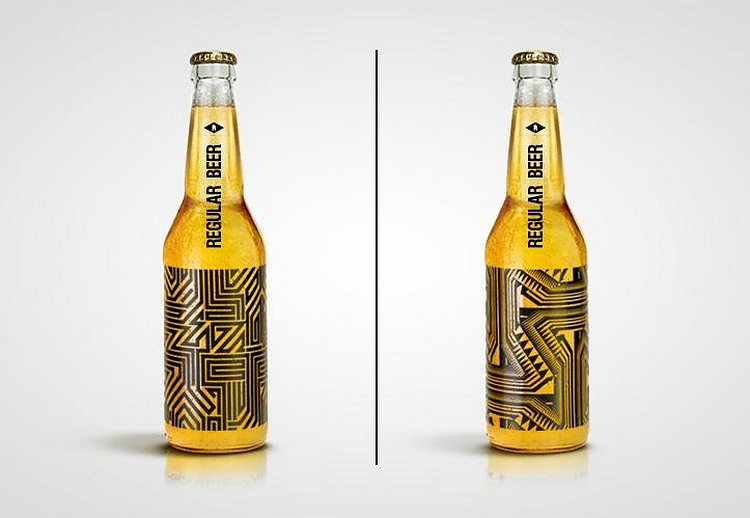 Another important aspect of the design is the technological innovation in the bottles themselves. 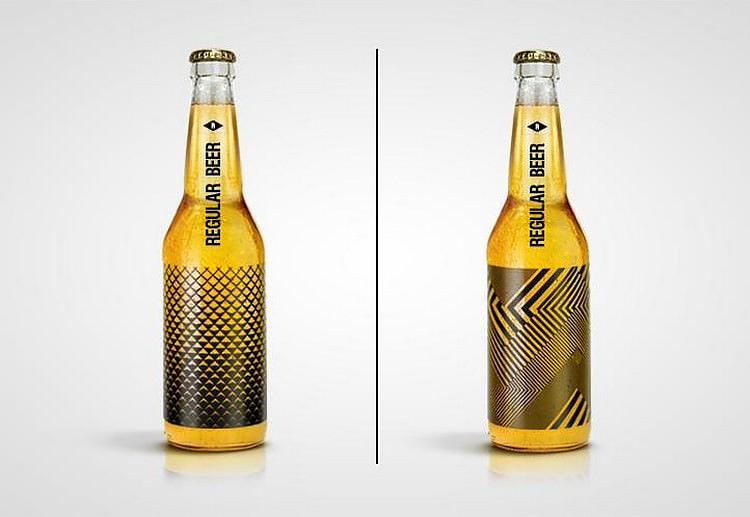 The Regular Beer concept uses screen-printing technology, to elegantly save energy and materials needed to print bottle labels. 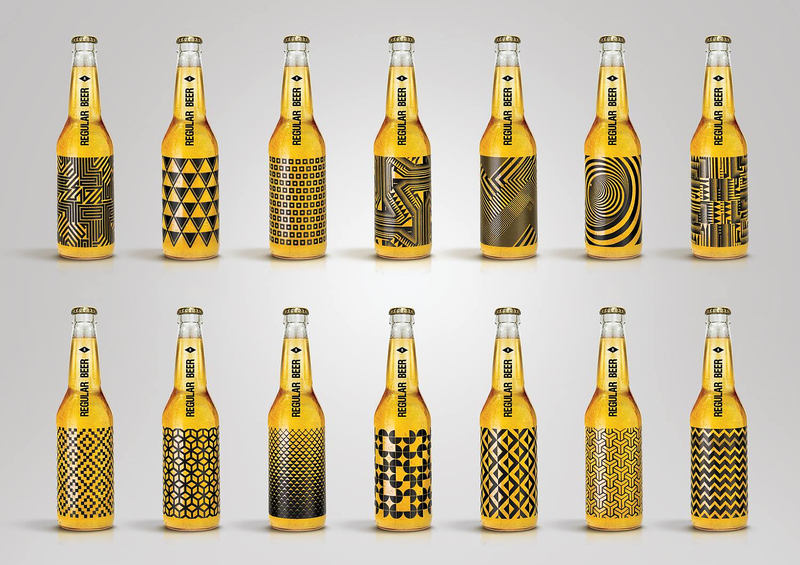 Screen-printed bottles (known as ACL – applied color labeling) is a process by which ceramic paint is applied directly to the surface of a bottle and fired through a Lehr furnace. 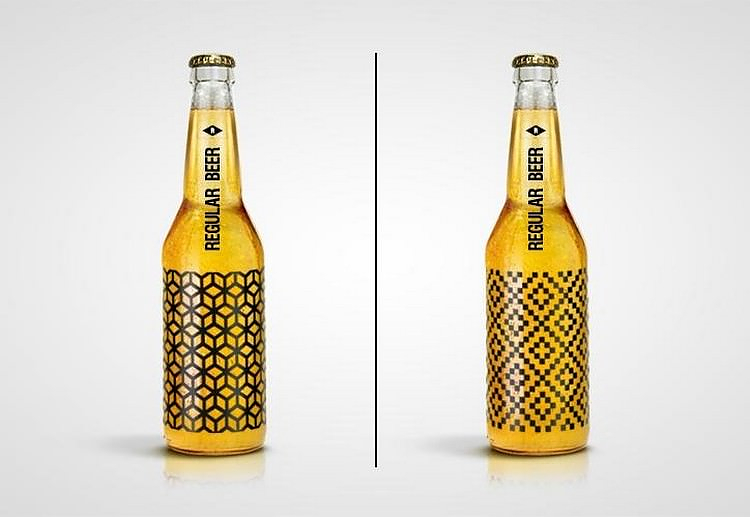 Though individual bottle labels would be more difficult to print, screen-printing offers a reduced cost and complexity of manufacture than might make varying the packaging more appealing to producers. 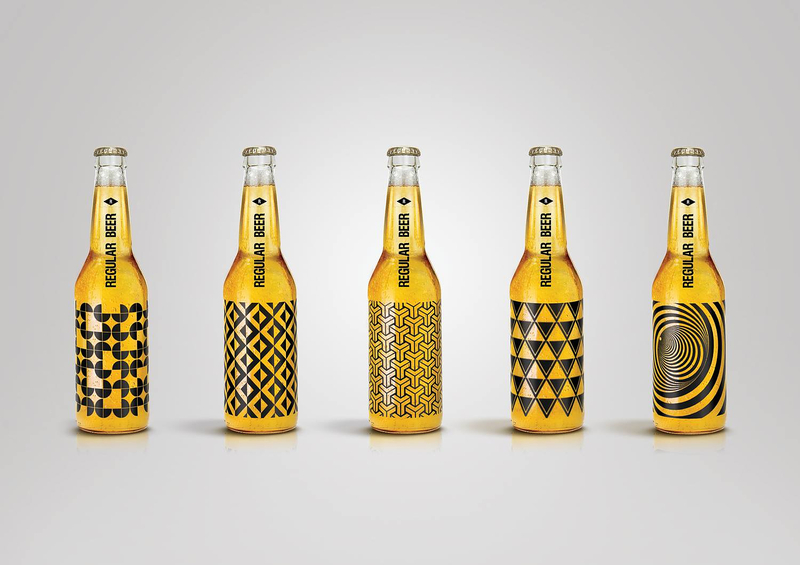 Piatkowski, who specializes in packaging, believes his effort particularly stands out in his home country. “In Poland more and more companies launch local beer focused to the taste. 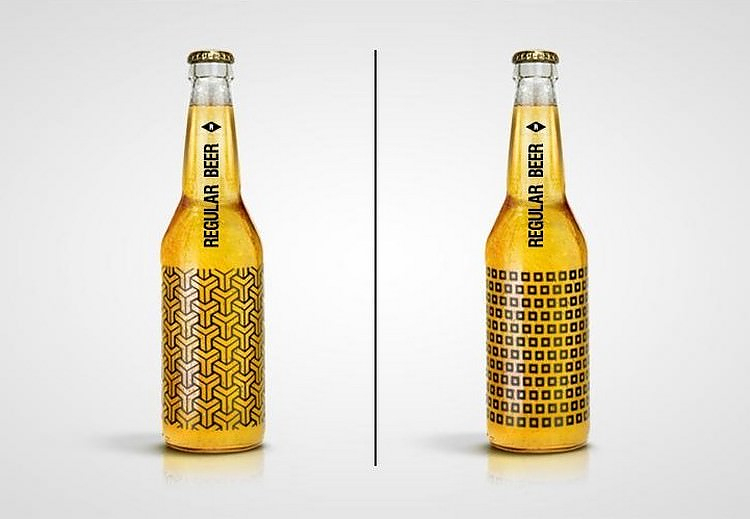 Such companies often turn to alternative packaging designs, using also drawings on their labels. So far, I have not seen a project such as Regular Beer in pubs or stores. 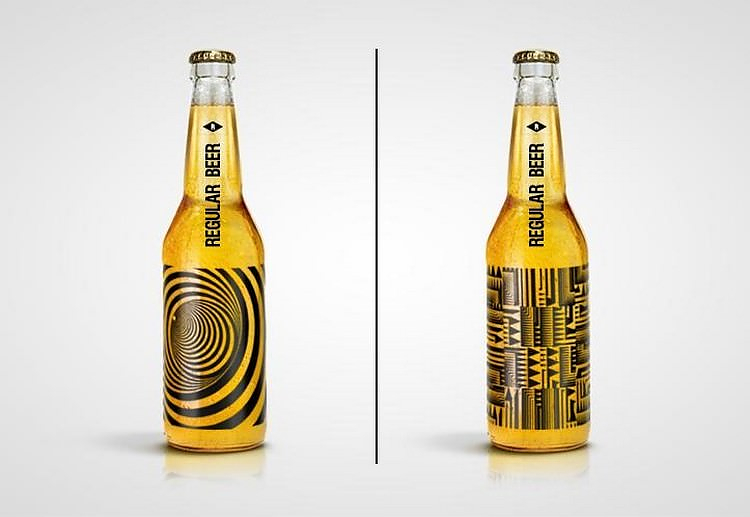 Regular Beer was created only in my mind, it should be clear, refreshing, delicate but with distinctive taste” he says.